Many businesses are actively looking for inventory and process tracking technologies which fulfil their needs. Both barcodes and RFID (Radio Frequency Identification) technologies are regularly compared together when a business looks for a tracking solution. Both barcodes and RFID are very similar, but they have many key differences that you may not be aware of. We are going to explore the similarities and differences between RFID and barcodes as well as investigating the requirements behind each technology. Radio frequency identification, known as RFID, is the process of reading and writing data using waves to a small chip with an antenna, known as a tag. RFID tags typically store 2,000 bytes of data or less, which is more than adequate for most applications. RFID works by transmitting data over the air using waves. The waves power a small chip through its antenna which then stores the data on the built-in data chip. This data can then be read by merely using a reader, also known as an interrogator, to scan the tag and read the information on the chip. There are two types of RFID tags, passive and active. Passive tags do not require a direct power source. Instead, they are powered by the waves being using to read or write to the chip. However, active tags need a direct power source, such as a battery, which continuously pushes data to the read, unlike passive chips. Retail - Barcodes are found on products which allow for inventory management as well as price and description retrieval. Warehouses - Many warehouse use barcodes to keep track of inventory and to speed up the process of product identification and shipping. Factories - Factories use barcodes to track inventory and as a unique identifier for systems to monitor the progress of manufacturing. IT Departments - IT departments use barcodes to track assets as well as issuing hardware and software to users quickly. A barcode works by a scanner reading a label which has black bars which vary in width. Each section of the barcode has different widths or black bars to create a character or number. When combined the reader can detect the pattern and read the value. Barcodes can be read using laser barcode scanners which are faster and more accurate than CCD barcode scanners which use an array of small light sensors which can detect the difference between the light and dark parts of the barcode. CCD barcode scanners are slower than laser scanners and are more likely not to read the code is the label is damaged or marked. Barcodes and RFID tags allow you to track objects with ease. Both can store data which can be easily read. You can read information using both fixed or mobile scanners. Barcodes and RFID tags are regularly being used to track objects through store information, both technologies allow for a wide range of applications which other technologies cannot meet. However, there are many differences between RFID and barcodes. Barcodes can only be scanned one at a time, unlike RFID which multiple tags can be scanned at once using a single scanner. Barcodes require the scanner to have a direct line-of-sight with the code where are RFID is a near-field technology, which allows the scanner to read the tags within a range and without a direct line-of-sight. Barcodes are typically printed on adhesive labels or on paper resulting in the barcode being prone to wear and damage which can impact the readability. 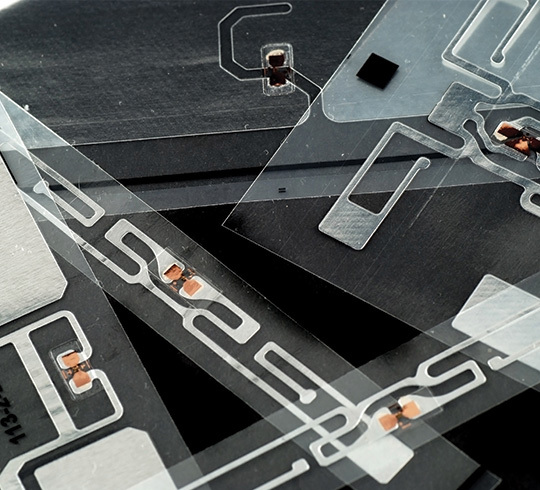 However, RFID tags are usually embedded within plastic labels or within the object its self, resulting in a more robust product which can withstand more damage than barcodes. Barcodes are limited by the type and volume of data that can be stored, while RFID allows for up to 2,000 bytes of data to be stored within a single tag. Which is Better, RFID or Barcodes? This question is highly dependant on your requirements and budget. Barcodes are cheaper than barcodes to produce but store less information. But, RFID can read multiple tags at once at high speed. This YouTube video shows the performance of a human, barcodes and RFID tags. The person takes 2 minutes, 16 seconds to write down the information of twelve pill bottles, whereas it took 37.9 seconds to scan the containers using a barcode scanner. However, the RFID scanner picked up all twelve products in just over one second. RFID allows for accurate scanning in adverse conditions as it uses near-field technology and does not read a printed surface like barcodes. This allows for precise reading in any situation. Barcodes are not as accurate as RFID as the labels can easily be damaged or marked during transportation or with the area conditions which can result in the barcode not being able to be read accurately. However, RFID is more accurate as the data is stored as binary on the chip which can be read and translated quickly and accurately. RFID or Barcodes - Which Should You Choose? When choosing between barcodes or RFID, it is essential to look at the purpose, environment and potential costs. Not all use cases would require RFID tags to be used, but some other case will require the technology. Whether you are looking to implement barcodes or RFID into your project, it is always worth your time to research both technologies and weigh up the pros and cons. You can also speak with our team who can help you identify which solution is best for you and provide quotes for the system you need.